Since I have a lot of things to do beside posting here, don't expect me to review more than 1-2 albums per month in the next half an year or so. 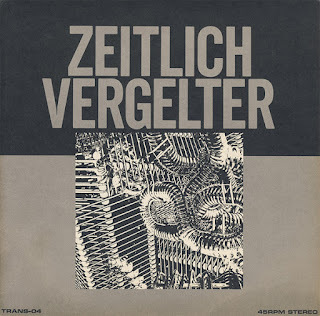 However, while I'm at it, let's post a forgotten classic of the Japanese industrial scene - the one and only 7'' single of Chu Ishikawa's first band named Zeitlich Vergelter. Their line-up consisted of Chu Ishikawa (of Der Eisenrost, who later became known for his OST for Shinya Tsukamoto's "Tetsuo" movie), Maki Fuji (Soft Ballet) and Neu! Rosen Von Verderber (Neurotic Doll), and their sound was strongly influenced by Einstürzende Neubauten. 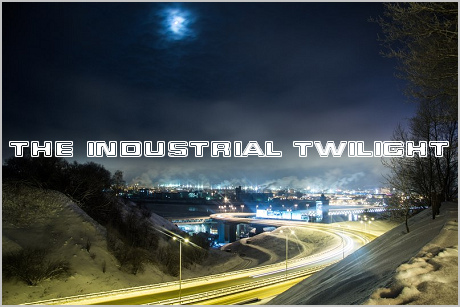 More than 30 years later, the significance of this release is mostly historical, but fans of early EN and other industrial/noise bands of the same period would likely find it quite enjoyable. Thanks to this blog (a very interesting one, by the way) for posting it! 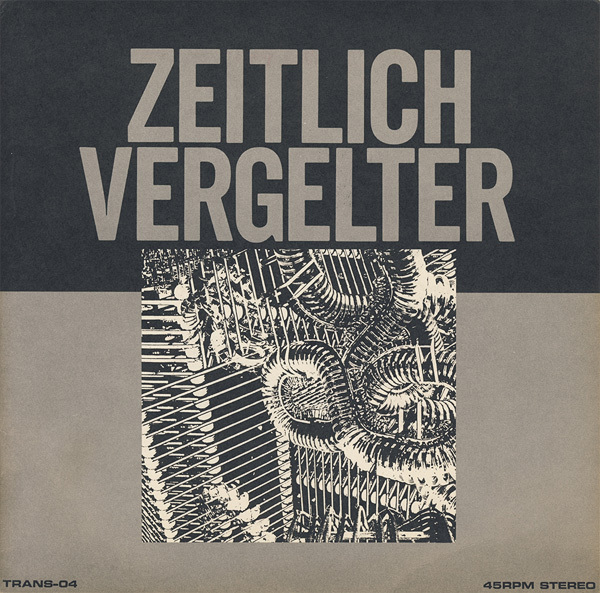 Beside these two tracks, ZV have released two more ones: "Shauder" on the DEAD TECH compilation and "The Third System of Transit" on the first NG compilation from Trans Records.